Have you been injured on a boat or jet ski? If your injuries were the result of another party’s negligence, you may be eligible to file a personal injury lawsuit. Boating accidents are often serious or fatal. A personal injury lawsuit can help you obtain compensation for your injuries and emotional anguish. There were more than 3,000 boating accident injuries nationwide in 2005 according to the U.S. Coast Guard. 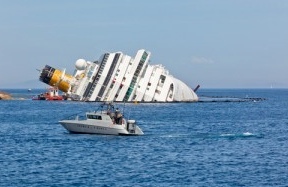 Boating accidents also caused over $40 million in property damage and over 700 deaths. Boating accident claims can be difficult to navigate. To get the compensation you deserve, you need an experienced attorney on your side. At Waitz & Downer Attorneys at Law, we have represented many clients who have been injured in boating accidents. Our experience and knowledge of maritime law and personal injury law has helped us win claims and protect the rights of those who have been injured while boating. Call us today at 985-876-0870 to arrange a free consultation.